After college, I worked as a Grant Writer for an educational nonprofit and volunteered with an animal rescue organization. I really enjoyed my full-time job, but I also recognized that I was more passionate about my volunteer work to improve the welfare of animals. 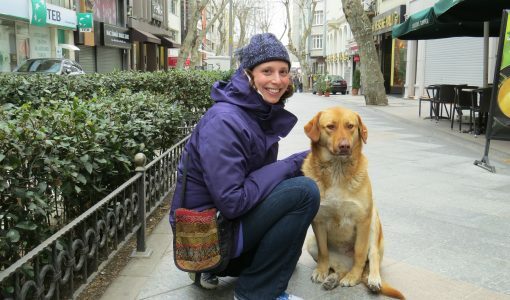 I was looking for a program that would help me better understand the big issues surrounding animal welfare, human-animal relations, and “One Health-One Welfare.” I wanted skills to approach animal welfare from an academic perspective; there is so much need and opportunity for research and scholarship to advance the well-being of animals. I also liked that the program is part of a highly ranked veterinary school, and the opportunities that come from that. My MAPP degree is essential to my current position. I work for The Alliance for Contraception in Cats & Dogs (ACC&D). Our nonprofit organization works to advance non-surgical fertility control options for cats and dogs, and we also initiate projects to help ensure that as non-surgical options become available, they can be used most effectively (current projects include how to mark and identify non-surgically treated free-roaming or feral animals, and computer modeling to support feline trap-neuter-return programs). I actually learned about the open position at ACC&D via the MAPP alumni Facebook page! The MAPP program gave me a foundation of knowledge and credentials that have been really helpful in my current position. In particular, thanks to the MAPP program, I feel comfortable working with animal welfare professionals, scientists, researchers, veterinarians, etc. The program also equipped me to conduct and evaluate research, which has been very useful for my current position. My final project was a case study of the Second Chance Fund for Animal Welfare’s Quick Fix Clinic, a Worcester County-based reduced-cost spay/neuter program targeting primarily owned cats. I wanted to better understand the clients who brought cats to this clinic, as well as the cats themselves (Where were they obtained? Did they reproduce prior to attending the clinic? Why did they attend the clinic when they did?) Although subsidized/reduced-cost programs are widely promoted to increase spay/neuter rates and reduce unwanted litters, there’s been relatively little research on the actual impact of these programs. The project improved my qualitative research skills, and it also helped me realize the extent to which advancing the welfare of animals requires understanding, supporting, and respecting the people who care for them. In addition to my formal MAPP project, I had the opportunity to work with a professor from the Center for Conservation Medicine on a project in Kathmandu, Nepal. A nonprofit organization, the Kathmandu Animal Treatment (KAT) Centre, spearheaded an animal birth control and rabies vaccination program for the city’s free-roaming and community dogs. We looked at possible ways to enhance support for the program from government and private sectors, as well as from NGOs focused on complementary areas such as public health, child and community welfare, and environmental health. This project got me really interested in the field of One Health-One Welfare, which is something that plays a big role in my current work. I really liked my classmates and professors, and the MAPP program afforded great opportunities for interesting and meaningful projects. I still stay in contact with my professors, and I even interned with one when I was in a second master’s program (in Conservation Biology) at the University of Michigan. I like that there’s appreciation among those in the animal health/welfare field for the MAPP program. I love that there are a growing number of undergraduate and graduate programs related to animal welfare, animal studies, animal ethics, and humane studies. 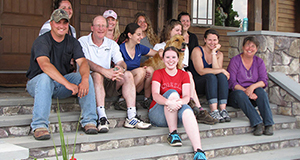 The MAPP program is relatively unique in that it’s part of a veterinary school, however, and this affords a lot of opportunities in terms of interesting lectures, research, and conversations. I’m so grateful to have taken part in the MAPP program. It fostered a lot of connections with interesting and like-minded people, provided a great academic foundation for working in a scientifically oriented animal welfare job, and opened a lot of doors professionally.